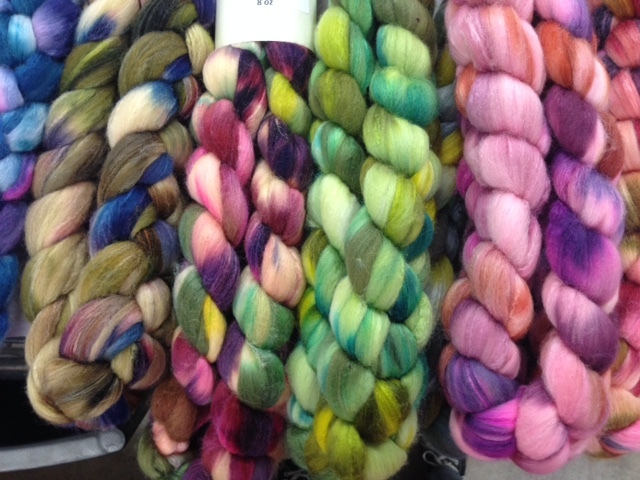 Janis has been busy in the dye studio! 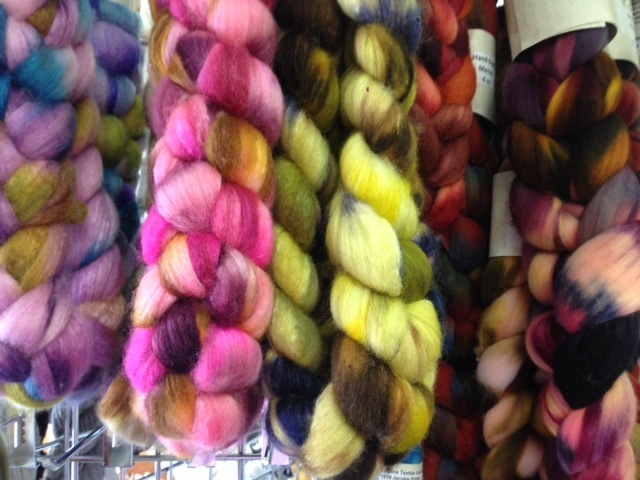 Come in and get your glorious roving before it’s gone. 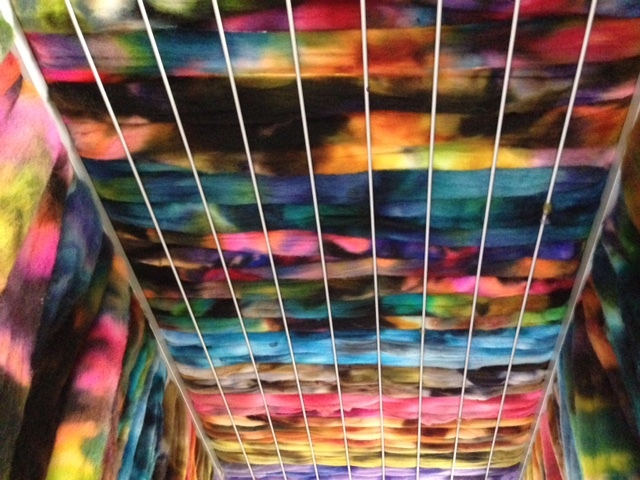 Posted on July 9, 2015 Categories In the StudioTags dyeing, roving, spinning3 Comments on A Summer of Color! Suzie and Sarah start ’em off right! 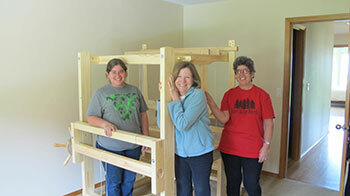 Read about their latest adventure in Birth of a New Loom. With the proud new loom owner. Want to make your loom dreams come true? give us your wish list by phone (541) 688-1565.